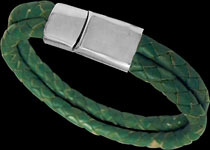 Select one of our genuine leather and stainless Steel bracelets Many styles, colour and sizes to chose from depending on the value you spend. Exemplary designs with keen appreciation of line and form. 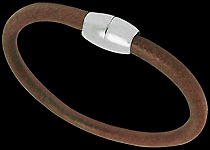 Our leather and stainless steel genuine leather bracelets will make you look stylish and classy. 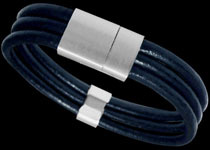 These stainless steel jewelry pieces make perfect gifts for graduation, Birthdays, Father's Day, Mother's Day, Valentines Day or as a Groomsman gift for that special occasion you wish to commemorate.